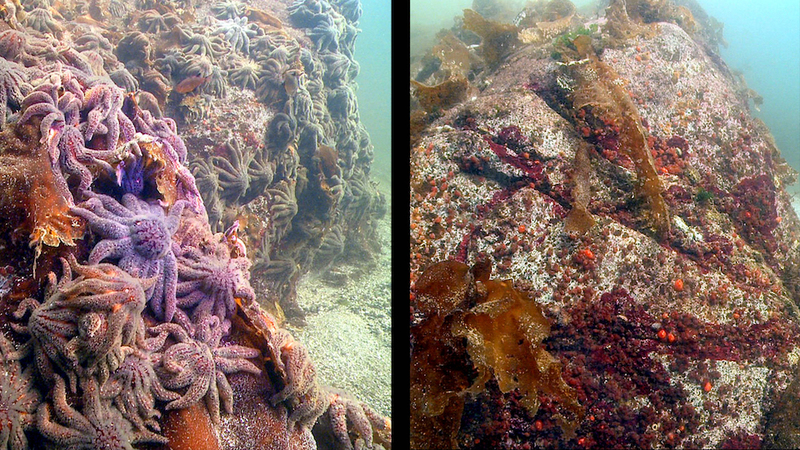 Diego Montecino-Latorre, a wildlife epidemiologist with the UC Davis One Health Institute and a co-lead author, said the sunflower sea star continues to decline even in the deepest ocean, and it is not recovering in the same way experienced by the intertidal ochre star. Global warming due to a changing atmosphere is likely a major factor. Between 2006 and 2017, scientists and trained citizen scientists with Reef Environmental Education Foundation, or REEF, conducted 10,956 roving-diver surveys from Southern California to Alaska. Before 2013, divers reported an abundance of sea stars, but between 2013 to 2017 the population collapsed. Scientists from the National Oceanic and Atmospheric Administration surveyed sunflower sea stars in thousands of deep trawls from Mexico to the Canadian border and recorded 100 percent decline in all states in deep water down to 1,000 meters. Stanford University also contributed to this research. The study was supported by the National Science Foundation, Natural Sciences and Engineering Research Council of Canada, NOAA and the Department of Commerce.